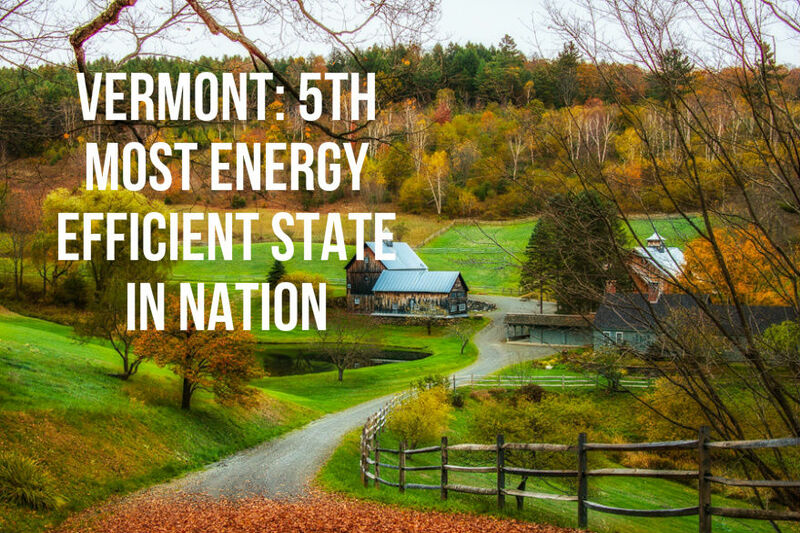 Vermont Ranks 5th Nationwide in Energy Efficiency! When it comes to energy efficiency, Vermonters are among the most savvy and conscientious in the nation! While Massachusetts overtook California, the leader for the past 4 years, for the top spot, Vermont still made an impressive showing by coming in 5th overall. The American Council for and Energy-Efficient Economy awarded Vermont the top score overall for our utility and public efficiency programs as well as our policy programs. Our "innovative and aggressive programs" help to conserve energy across the state's economy while our budget allows for the most expansion of electrical efficiency of any state in the nation. Therefore, Vermonters are able to bring in the highest incremental electricity savings of any population in the United States! If you're in the market for new appliances, find out the most energy efficient purchases here!